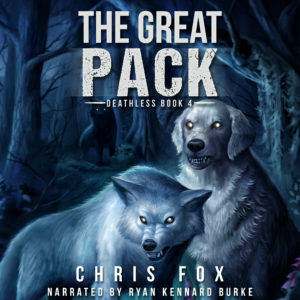 For all of you who have been waiting patiently, The Great Pack has been released on Audible! Narrated once again by the great Ryan Kennard Burke, this fourth book in the Deathless series continues the adventures of Blair, Liz, Trevor, Jordan, and more. I am going to leave a review for ‘The Deathless Collection’ this weekend. It’s the best new (to me) series that has come along in a long time. 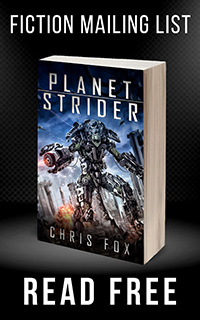 You have a real gift for introducing laugh-out-loud humor without turning the story into a slapstick comedy. In fact, I think the humor amplifies the seriousness and tension. It’s the sort of contrast and ‘natural coping mechanism’ we use in our own lives. When things get really bad, we panic or we laugh.